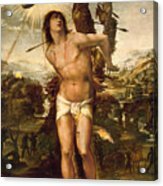 St. Sebastian as portrayed is a euphemism for how he met his death...through multiple rapes by the soldiers! 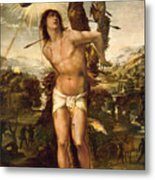 This Italian masterpiece of the Renaissance was created in 1525, the work of Il Sodoma. 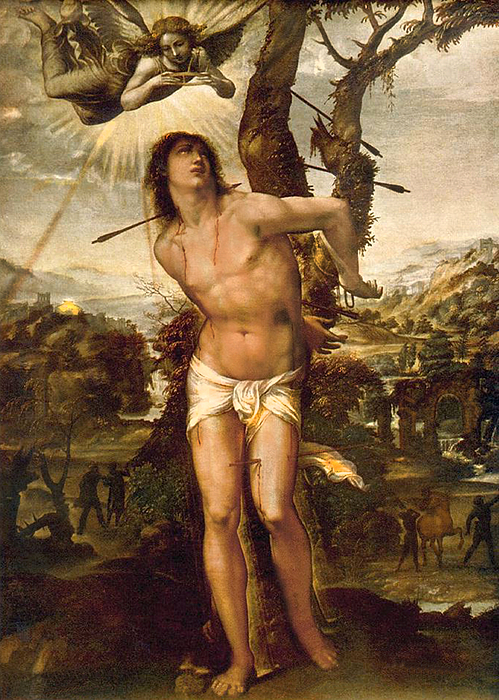 The Italian master artist died in 1549 in Siena when he was eighty-two years old. This work is now displayed in the Galleria Palatina in Florence, Italy.